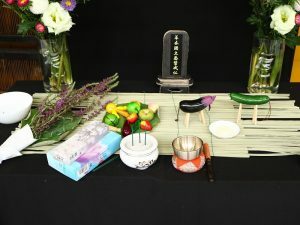 Obon is one of the important customs in the Japanese summer, which is to pray for the repose of ancestors’ spirits when they are believed to come back home every year. 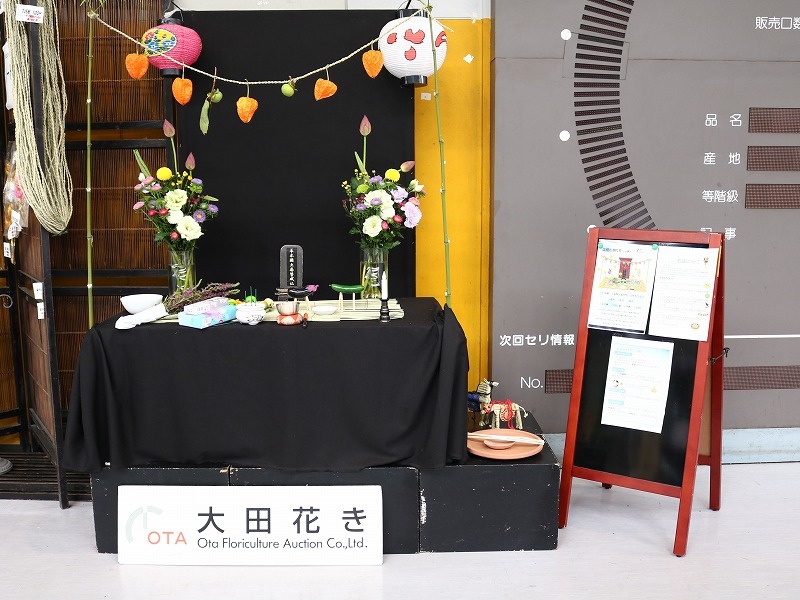 Have you ever heard about Obon? Let’s check out what it is. 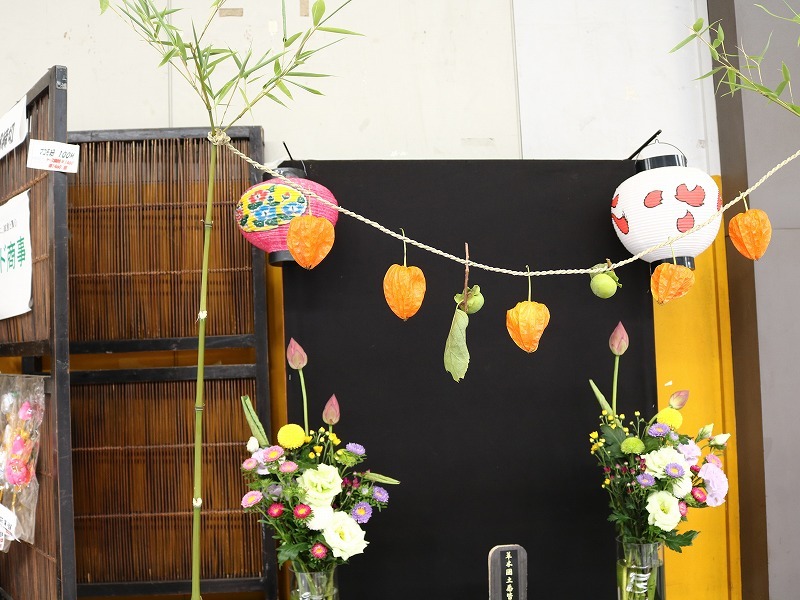 Obon’s official name is “Urabon’e.” This originates from the Sanskrit word “Ullambana”, literally means hanging upside down. That sounds scary, though it represents the Buddhist service for saving those who are suffering as if they were hang down, and that turned to be the teaching of caring one’s forefathers, or so called filial piety. 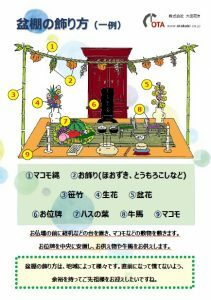 After the solar calendar was introduced to Japan in the 19th century, the date of Obon ended up varying from regions to regions. Today they can be divided into three types. ➊July 15 in solar calendar (New Bon)>>> July 13-15: Tokyo, Yokohama, Shizuoka, etc. 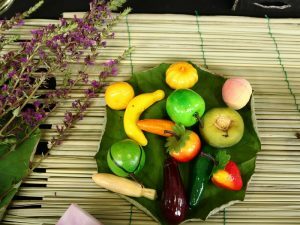 ➌July 15 in lunar calendar (Old Bon)>>> Around August 20: Okinawa etc. What is the welcoming fire “Mukaebi” ? 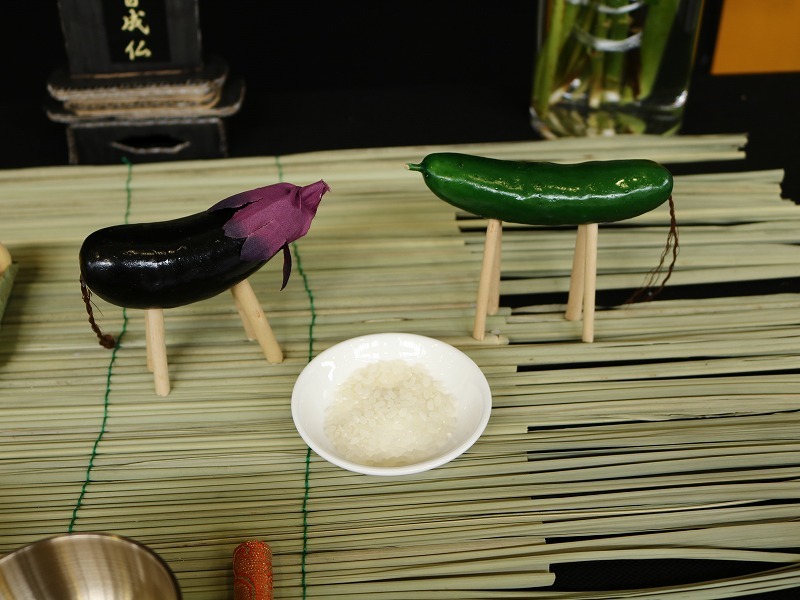 set up a Shoryo-dana shelf (please see below) to invite the spirits of the dead. visit a grave bringing paper lanterns. At the grave you pray for the ancestors with a candle and incense sticks. Then you lit the paper lantern using the candle’s light, for bringing it back home. when you are back home, get the light from the paper lantern to the Shoryo-dana’s candle and pray with incense sticks. at the entrance of your house, lit up the firewood called “Ogara” for welcoming the spirits of the dead. ※Remember to leave the half of the Ogara for the later sending fire. 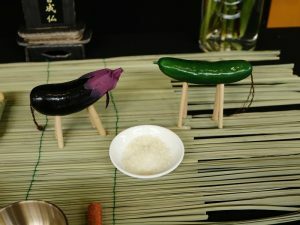 What is the sending fire “Okuribi”? lit up the candle and incense sticks at family’s alter, and get the light to the paper lantern for bringing it to the grave. get the light from the paper lantern to the candle and pray with incense sticks. 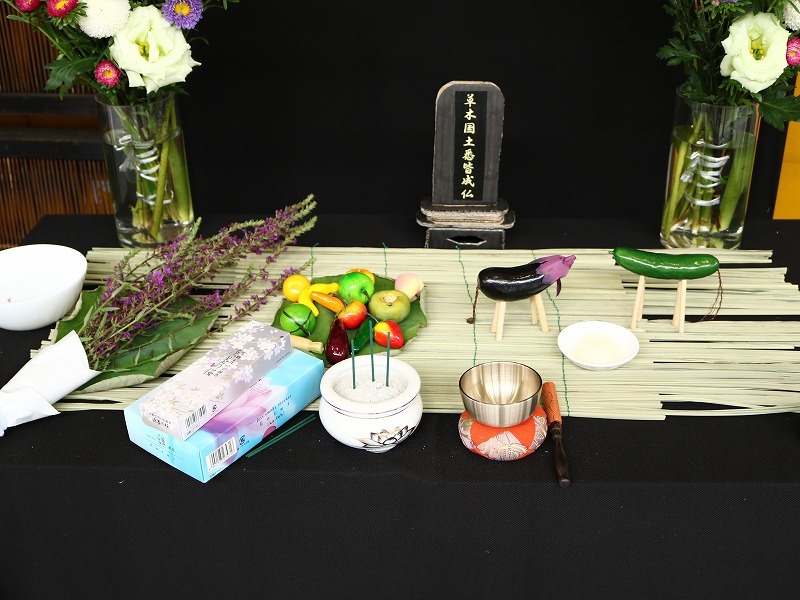 pray with the incense sticks and lit up the Ogara for sending the spirits of the dead. ▶This fire of Ogara is a sign for the spirits of the dead to go back to their grave. 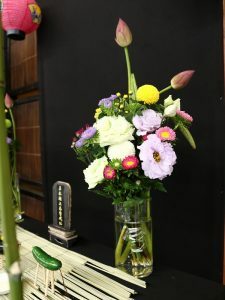 Not only its dates and schedules, the style of arrangement of Obon is also depending on the regions and the Buddhism sects. The typical Shoro-dana shelf is like the picture below. The flower is closely related to Buddhism, thus it is the national flower of India and Sri Lanka. 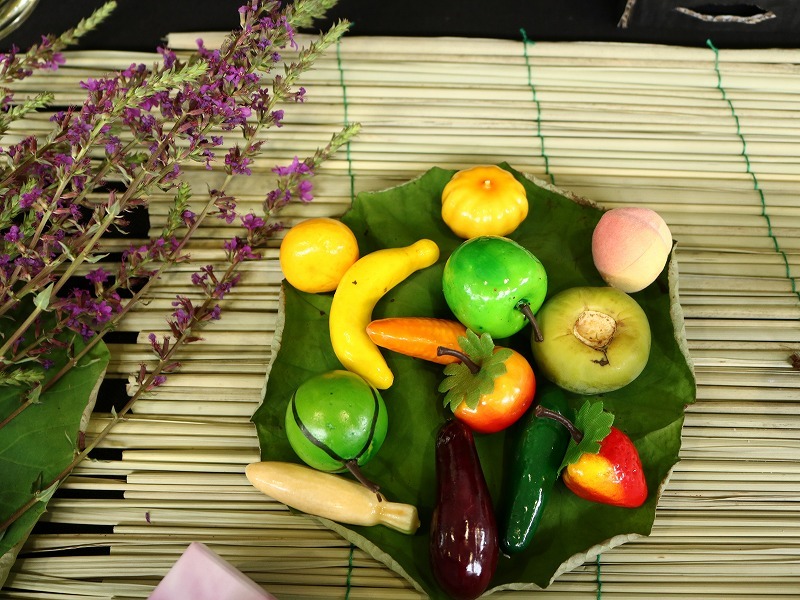 It is considered as the highest grade flower and it is believed to grow in the Buddhist paradise. 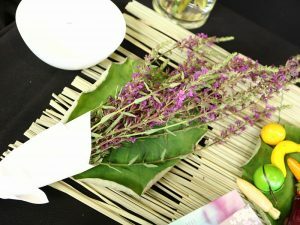 The leaf is used for the plate to put “Mizunoko” (food offering for souls) on, which symbolizes celebration of the first harvest in the season. In Buddhism it is said that you may reach the Buddha closer if you are carried on the leaf. It is also used for dish offering for souls called “Hasu-meshi” (steamed rice dumpling wrapped in the leaf). L. anceps in Japanese is called Miso-hagi, and this is the combination of ablution (Misogi), which means rinsing off the evils with water, plus Lespedeza (Hagi). You can rinse off evil spirits at the Shoryo-dana shelf or entrance using the L. anceps soaked with pure water. 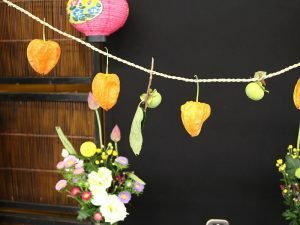 P. alkekengi in Japanese is Hoozuki and its characters have the meaning of “monster’s light.” The spirits of the dead are believed to gather at the light of paper lantern, that is why P. alkekengi is served as a signpost because of its similar looks to paper lantern. Every plant served for Obon has its reasons to be used as well as the seasonal reason. When you learn more about these customs and traditions so you can carefully pray for the spirits of our ancestors.